Mountain View Hospital is a private, specialized psychiatric hospital serving children through senior adults. Accredited by the Joint Commission on Accreditation of Hospitals, Mountain View Hospital is the only treatment facility of its kind that offers a complete continuum of inpatient and outpatient services throughout Alabama. Our primary goal at Mountain View Hospital is to provide the highest quality of care through our broad range of services and our devoted and caring staff. The History of Mountain View Hospital actually begins long before the name and the building that stands at 3001 Scenic Highway today. Before Mountain View Hospital became known as an emotional and behavioral healthcare facility, it was a nursing home, an alcohol dependency center and a tuberculosis hospital. 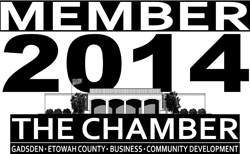 The mission of the facility has always been that of serving health care needs to the people of NE AL. In 1918, Etowah County began its first attempt to fight the dreaded disease tuberculosis by establishing a “fresh air camp” near Harts Avenue atop Lookout Mountain. The original camp was six canvas and lumber tent structures that served as treatment and care for patients suffering from tuberculosis. The prevailing belief was that the fresh air on the mountain would aid in treating the condition. During this time, several counties began implementing such camps a treatment for the disease. After eight years of operation, in 1926, the camp was destroyed by fire. In 1926, construction began on what would replace the destroyed camp. 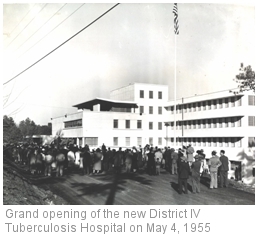 After construction was completed, the hospital was officially designated the Madru Inzer Memorial Hospital but would become known as the Etowah County Tuberculosis Sanitarium. Over the coming years, the Hospital would provide exceptional care that would place it as one of the most effective hospitals for treating tuberculosis in the South. While the hospital was primarily focused on the treatment of tuberculosis, the care that was provided would include treating alcohol dependency as a secondary condition. The discovery that alcohol rapidly advanced the disease of tuberculosis would provide a basis for comprehensive treatment at the facility and would aid in eventually finding ways to control the disease more effectively. By the early 1950s, it was becoming increasingly evident that additional facilities were needed to treat the overwhelming number of tuberculosis patients in the area. The original Hospital was built to accommodate sixteen patients, but was seeing in excess of twenty-one. In November 1953, work began on a new tuberculosis facility that would house a larger number of patients and provide greater services. The new District IV Tuberculosis Hospital would provide care for up to 145 patients. Equipped with the latest in x-ray equipment, a modern laundry, kitchen, recreation facilities, a canteen, sun-room space and modern patient rooms. Built at a total cost of 1.2 million dollars, the Hospital was financed by several local counties (Etowah, Butler, Blount, Calhoun, Cherokee, Clay, Cleburne, DeKalb, Russell and Talladega Counties) with a 2-for-1 match from the Federal government’s Hill-Burton Hospital Aid Bill. The State of Alabama provided $200,000; the seven county groups provided another $200,000 with the remaining $800,000 being provided by the Federal grants. Upon completion, the facility encompassed a total of 66,000 square feet with 386 rooms. By the end of the first year of operation of the new facility, 1956, the Hospital received accreditation by the Joint Commission on the Accreditation of Hospitals (now known as the Joint Commission on the Accreditation of Health Care Facilities) and has maintained an unbroken certification from that year to the present. On January 1, 1972, the Hospital officially changed its name from District IV Tuberculosis Hospital to Mountain View Tuberculosis Hospital. The change was partially due to changes in government funding for TB treatment as well as the desire of many of the counties originally involved in the Hospital withdrawing their support to pursue other areas of need in their communities. Mountain View began expansion of services to include chronic diseases such as asthma, black lung, arthritis and diabetes. Probate Judge Willey Hickman recommended using the unused beds in the facility for the mentally ill. His recommendation was made to the State Mental Health Department that took the idea as a possible solution to problems of behavioral health in the state. By December of 1974, the Hospital expanded its operational mission from the treatment of tuberculosis to officially become a chronic disease hospital. 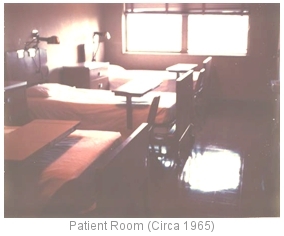 In 1979, Dr. Talley, medical director, received certification for 30 beds in the Hospital to be earmarked as residential detoxification and follow-up treatment care. This was a natural extension of the treatment philosophy of the Hospital’s days as a tuberculosis treatment Hospital because of the correlation between alcohol and tuberculosis. By 1981, the Hospital had begun providing care for extended care patients and took on more nursing home operations. During that same year, the Hospital was sold to Baptist Hospital of Gadsden, Inc., at the time the owners and operators of the Baptist Hospital located in Gadsden. The Hospital employed between 75 and 100 workers. In September of 1990, the Hospital expanded services by completing work on the Children’s Treatment Unit. This part of the Hospital was devoted entirely to children between the ages of 5 and 11. Prior to the completion of this new addition, the Hospital treated adolescents no younger than 12 years of age. Because the need had been recognized for some time, the Hospital decided to staff an entire Unit with professionals whose expertise was emotional and behavioral problems in children. In May 1991, Southeastern Psychiatric Management, Inc., began day-to-day operations of the Hospital and began to focus on expanding outpatient services to all areas of AL. In addition to the hospital in Gadsden, Southeastern Psychiatric Management, Inc. operates outpatient behavioral health clinics in Gadsden, Anniston, Fort Payne, Opelika and Montgomery. Mountain View hospital currently has a 68 bed capacity in addition to a 40 bed residential unit devoted entirely to adolescents. Southeastern Psychiatric Management, Inc. employees more than 230 mental health professionals.